The objective of this project was to provide a weighbridge system for Dunton Technologies. They have an expanding hazardous waste business that is based in Birmingham. They have a multi-user server to store the database on and a link to Sage. 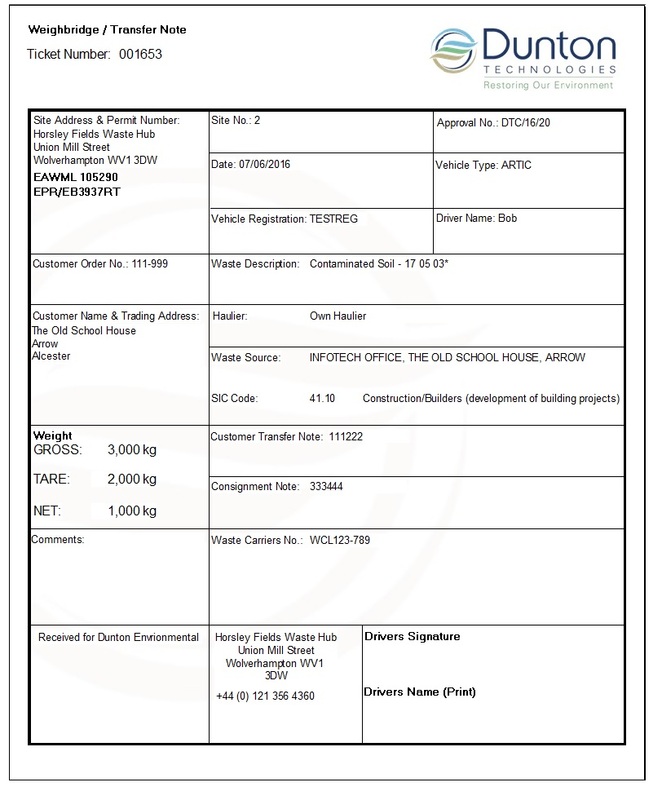 The quotations will need a waste carriers license expiry warning built into the software so they are prompted to request new copies from their customers as soon as they hit the expiry date. The ticket is printed on a dot matrix printer and on A4 paper, but orginally it was on A5 paper through an Epsom LQ-350. The design also includes a signature pad which will enable a signature to be captured and presented onto the ticket. A copy of both designs can be seen to the left. The customer will hopefully be expanding across to five sites. 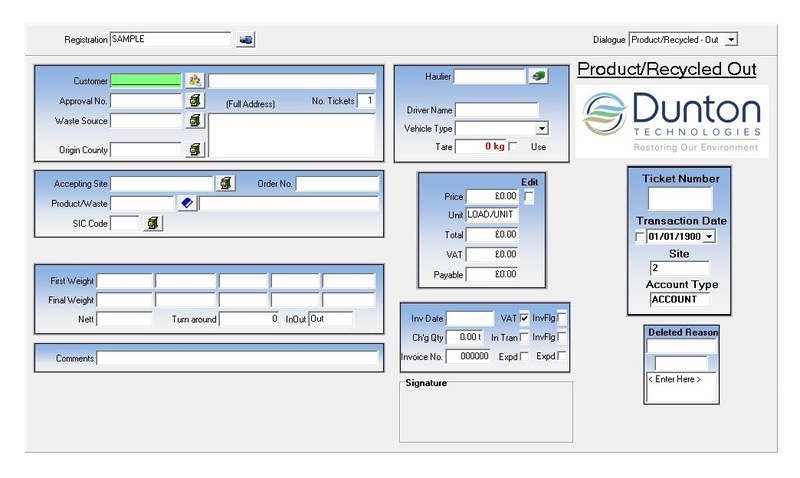 As a spin off to this system they also will soon have a manual version of the software for a remote shared site in Cornwall that will need to have the weights manually entered as a first weight when a lorry arrives having weighed on a weighbridge at the site entrance. The operator will then complete the weighing's at the end of the day when the completed tickets are delivered to him from the site entrance. A vehicle will arrive on site and the operator will key in the vehicle registration. All of the known data about the vehicle will display on the screen. 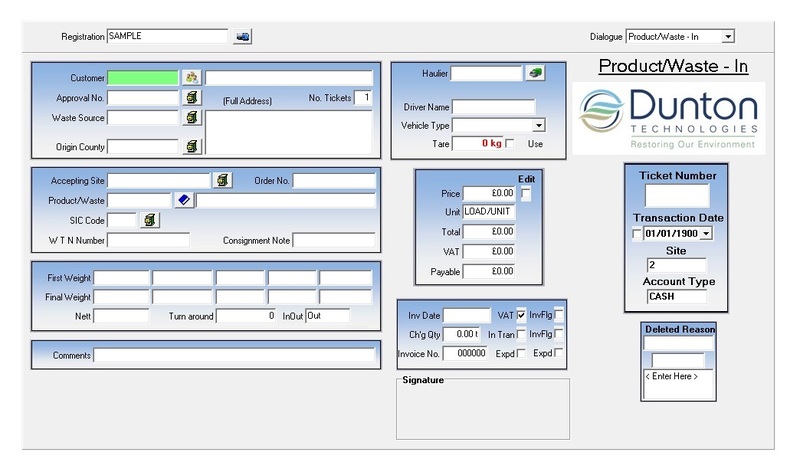 The operator will enter in any other additional information such as the product and the vehicle size. 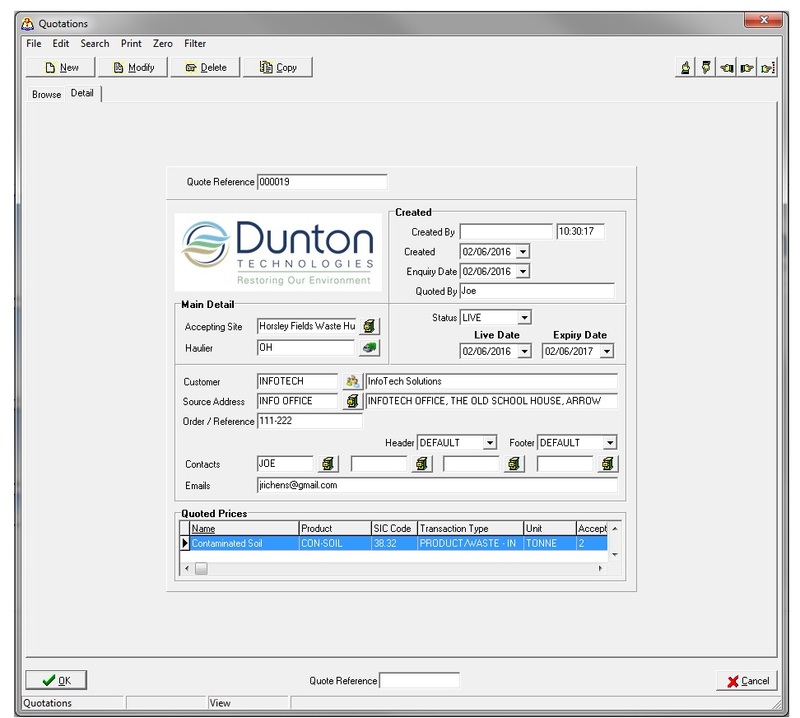 Before the operator selects to store the data, a ticket with all of the delivery and the duty of care information will be printed from a laser printer. The dialogues manage all products that come in and leave the site. Where a charge has occurred the data will be invoiced and the sales information gets exported for it to be imported into QuickBooks. The head office site's software links to Sage. 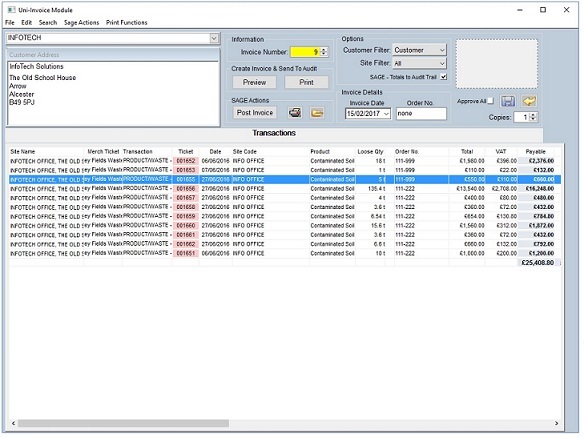 They will receive the transaction information before posting the data to Sage for auditing and invoice management. 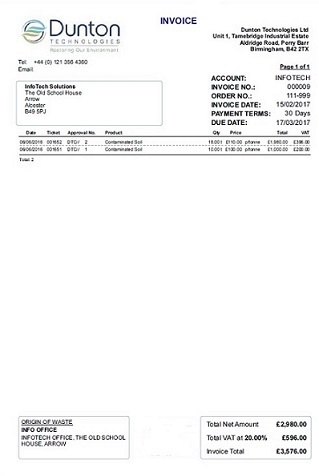 The invoice module will validate transactions for valid prices prior to it posting to Sage accounts. This can be on a site basis or for all customer specific transactions. See the image to the left for a screenshot.